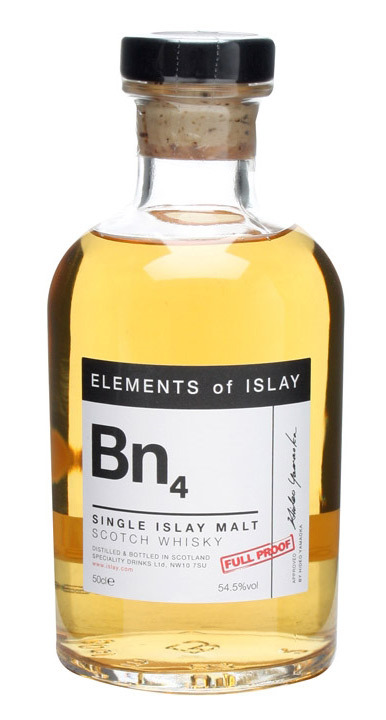 Elements of Islay Bn4 is the fourth batch from Bunnahabhain distillery, bottled by the independent bottler Speciality Drinks. This dark and sweet character felt like a nice addition into the Elements of Islay series, even though I only had a chance to take few sips of it on our way to Taivaanranta distillery’s Teerenpeli tasting in Finland. So I must say, my judging might not be the best. Probably with time and better exploration, the score might be bigger. But because I do want to write about each significant whisky, that I’ve tasted, I’m also writing about this Bunnahabhain. Even with an experience of only couple of sips. Because Elements of Islay Bn4 tasting was made in a hurry, on a minibus, I’ll keep this review as short as the tasting was. 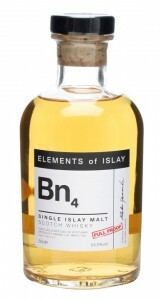 In my opinion the Bn4 is another nice un-peaty Islay whisky by Bunnahabhain. Matured in ex-bourbon casks, and being a blend of 5 to 20 casks, like each release in this series is. It is naturally coloured, non chill-filtered and bottled cask strength.It’s very sweet, yet greatly robust – kinda like some lovable Disney character living in a dark and scary place, in Mordor or something. 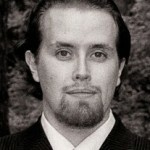 Definitely a Tim Burton movie! That’s why I named it Elsa Van Helsing as the sweet little gothic girl from the animation film called Frankenweenie. Nose: Sweet nose with earthy and floral notes. Pretty straight forward. Taste: Rough dram, oily and dark character. Little notes of brown sugar and oak. Small hints of nice sweet peat as well. Finish: Robust and pretty long. Oily enough to make it good, fits well with its earthy and spicy character. Balance: Well balanced, intriguing combo of dark and earthy flavors along with sweet notes.